​Airplane cabin cleaning crews at New York’s LaGuardia International Airport began a 24-hour strike on Wednesday, citing, in part, possible exposure to the Ebola virus. 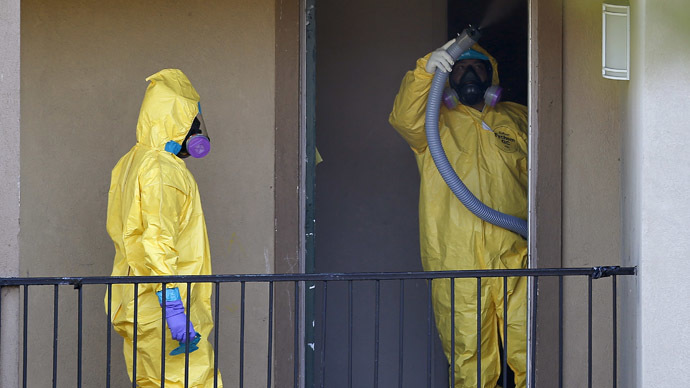 Meanwhile, a poll found most Americans want flights banned from Ebola-ravaged areas. 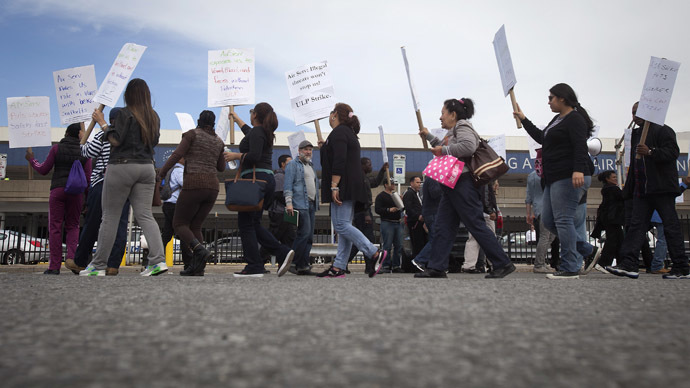 Around 200 Air Serv employees who work on domestic flights to LaGuardia began their strike on Wednesday evening. The group is seeking to unionize, and they said health and safety issues on the job - including exposure to blood, feces, and vomit without protective gear - are the main reasons. They are also concerned about possible exposure to the Ebola virus, which claimed its first victim in the United States on Wednesday. “The whole country is shivering, worried about the problems of Ebola,” said Hector Figueroa, President of 32BJ Service Employees International Union,accordingto CBS New York. Cabin cleaners per plane at LaGuardia have been reduced by up to half, and the time to clean planes has been cut down to as little as five minutes, workers said, as reported by CBS New York. Air Sev did not respond to a request for comment. The company brought in replacement workers during the strike, CBS New York reported. In a statement, the Port Authority of New York and New Jersey, which runs the airport, simply said all companies it works with must follow applicable laws. Beginning Saturday, travelers from West African countries Guinea, Liberia, and Sierra Leone will be stopped and probed for signs of Ebola at New York’s John F. Kennedy International Airport. Four other major US airports - including Newark Liberty International Airport, Chicago O’Hare International Airport, Hartsfield-Jackson Airport in Atlanta, and Dulles International Airport in Washington, DC - will follow with the health and travel screenings run by the US Centers for Disease Control and Prevention (CDC), and US Customs and Border Protection. 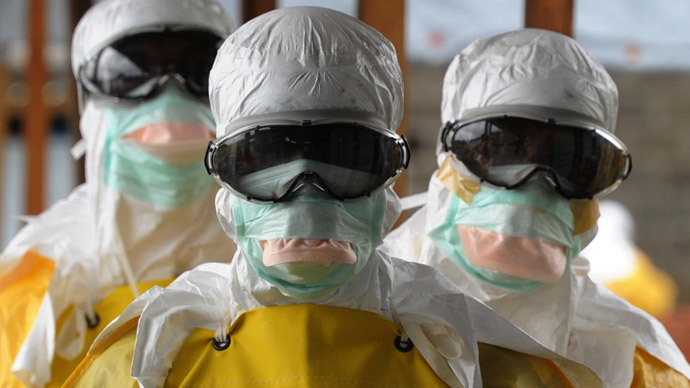 Anew pollfound a majority of Americans want flights banned from West African nations, where the latest Ebola outbreak is centered. Fifty-eight percent of Americans supported the flight ban, according to a poll conducted in a collaboration between NBC News and SurveyMonkey. Twenty percent of respondents did not support a travel ban from the likes of Guinea, Liberia, and Sierra Leone. As ofearlier this week, neither the World Health Organization nor the White House endorsed an all-out travel ban to the US from affected nations. Interestingly, by a 2-to-1 margin, respondents to the NBC survey said they were against offering US military personnel to help mitigate the spread and severity Ebola overseas. The Pentagon isplanning to sendthousands of troops to West Africa in the coming weeks to aid relief efforts in the region. 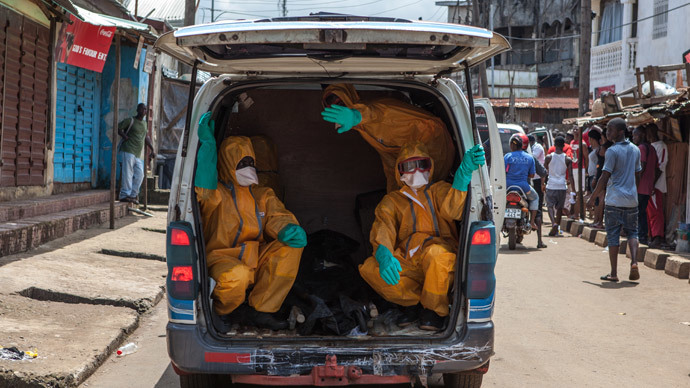 The NBC survey also found that 51 percent of respondents feared an outbreak in the US, and 30 percent were concerned they or a family member would be exposed to Ebola. 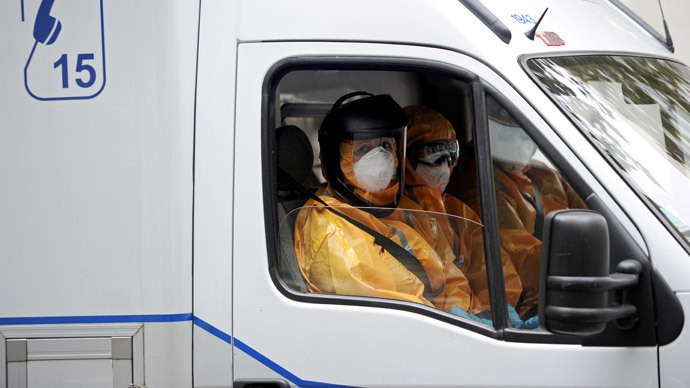 Seventy-two percent of respondents could accurately identify how Ebola is spread, through body fluids. Sixty-six percent of those surveyed said they had confidence that the CDC could prevent an outbreak in the US; 62 percent said the same about their area health departments regarding an outbreak on the state level. 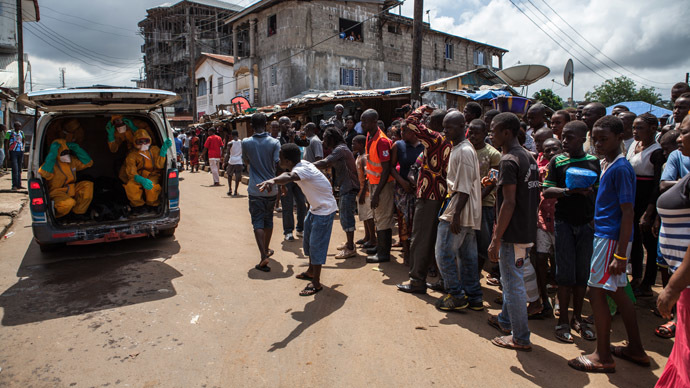 The Ebola outbreak has killed well over 3,000 people in West Africa, according to the World Health Organization. Though the WHO also says that is a conservative estimate of the fatalities so far. Several thousand more have been infected by the virus, the agency says.